Today we have a very simple project that is perfect for beginners who are looking to learn more about their machines, heat transfer, and fonts. 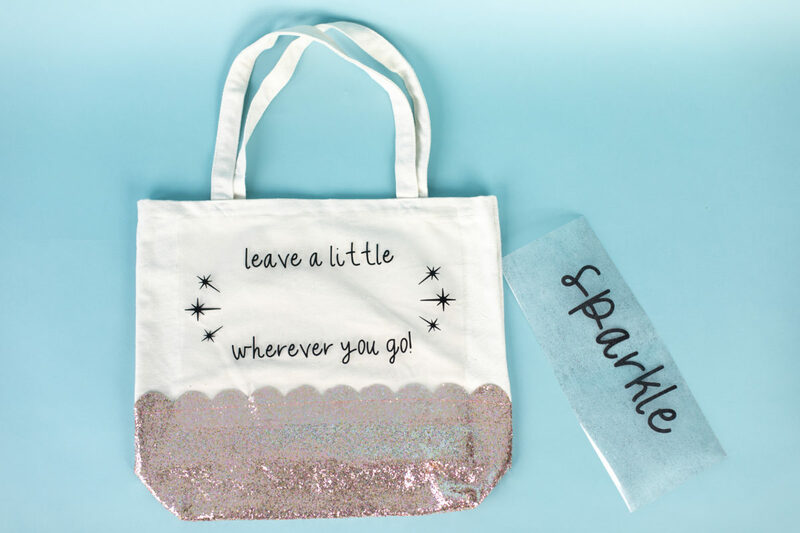 You’ll see just how easy it is to personalize any fabric accessory with heat transfer! 1. Open Silhouette Studio® and select the Text Style panel from the right-hand side. Choose the font Fresh Start font (Design ID #286044). Learn how to install fonts from the Silhouette Design Store® here. 2. 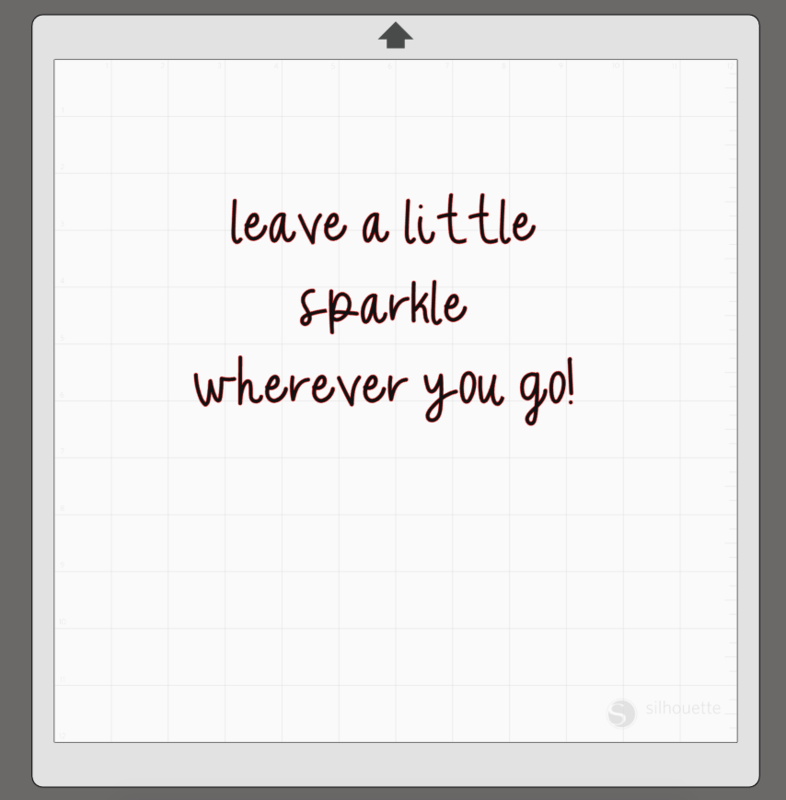 Select the Font tool from left-hand tool bar and type your phrase on the design space. For more information on using the font tool, click here. 3. We put the text in three separate text boxes to make doing the layout a little easier. 4. Select each line and scale it to the size you need to fit your tote. 5. When all the lines are resized, select all the lines, and then open the Transform Panel (the icon is located on the right-hand side toolbar) and align all the lines together by selecting Horizontal – Centered. 6. Now open the star (Design ID #226089) and resize it using the corner scale handles. 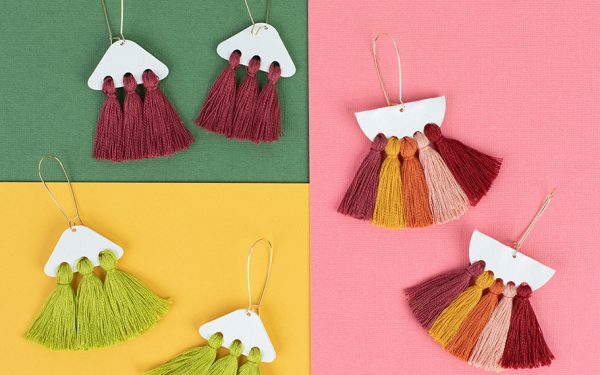 Duplicate the design and it place around your phrase. Adjust the angle with the green circle handle at the top of the design. 1. We cut the phrase using two different kinds of heat transfer. 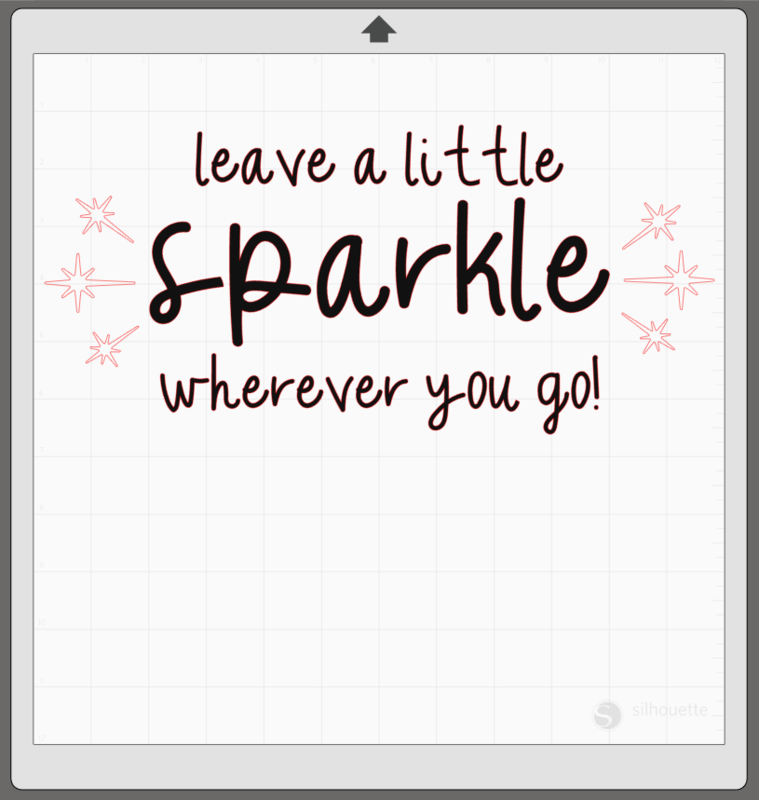 We cut everything but the word “sparkle” out of smooth heat transfer. 2. 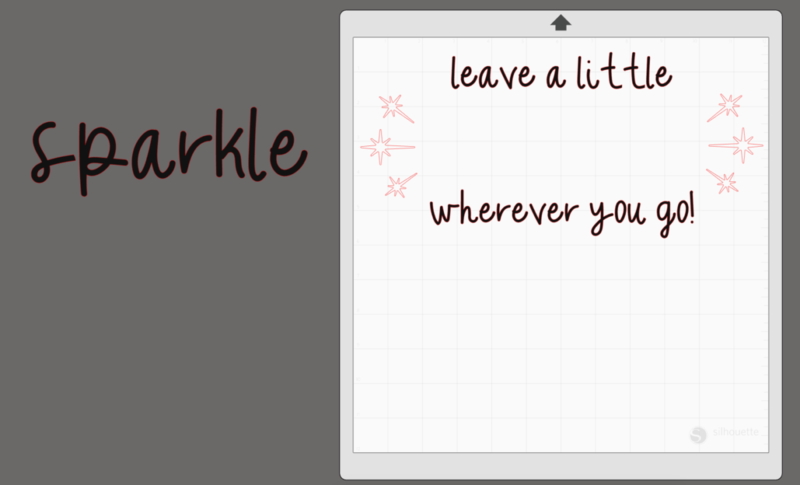 Select and move the “sparkle” away from the design area and to the gray holding area. 3. Now send the cut job to your Silhouette machine using the cut settings for “Heat Transfer, Smooth.” Remember to send the design mirrored so that when you transfer the vinyl the phrase won’t be backward. 4. Now remove that design from the cut field and place the “sparkle” back into the cut field. 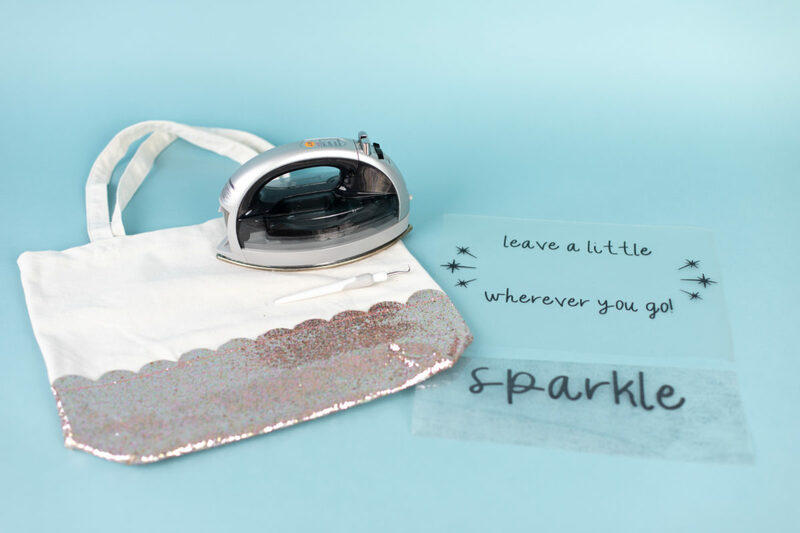 Mirror your design and send it to your machine using “Heat Transfer, Glitter” as your material. 1. Weed the material with your hook tool. Make sure to get the remaining heat transfer inside the looped letters. 2. Place the heat transfer onto your tote and cover it with cloth. Press a hot iron onto the design and iron the design in place for 45 to 60 seconds. 4. 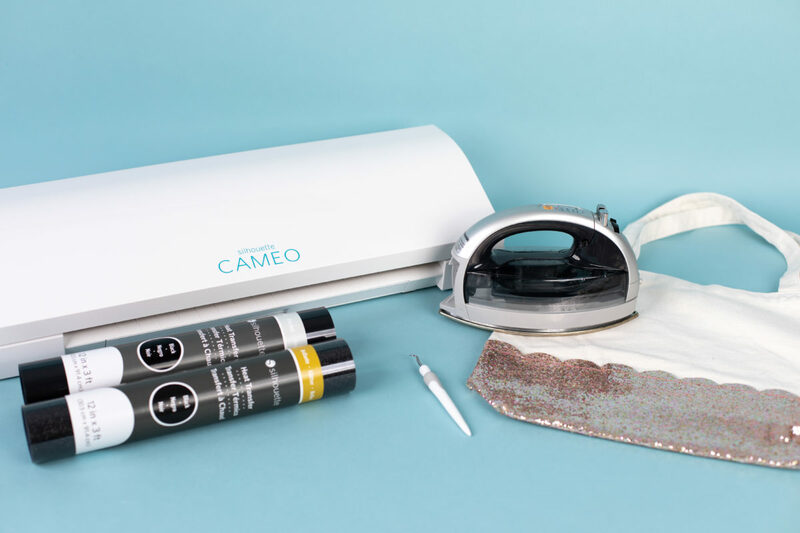 Repeat the same step with the glitter vinyl. 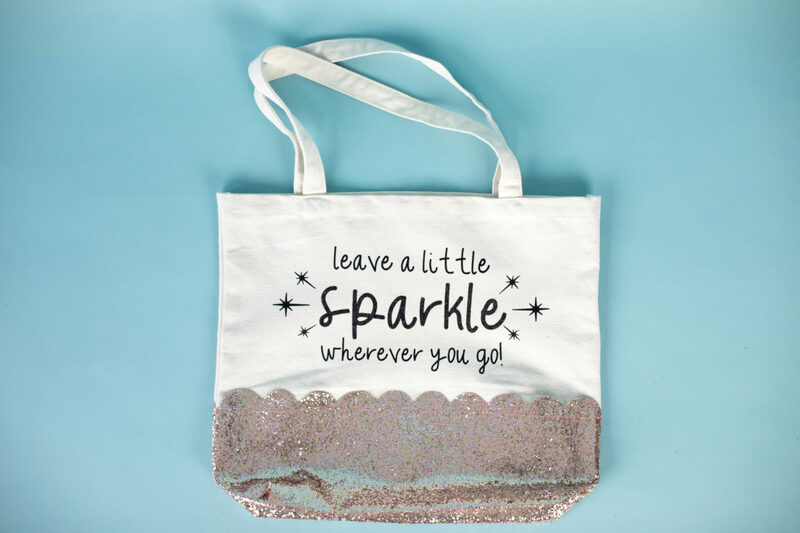 And now with this glitter tote, you too can leave a little sparkle wherever you go! 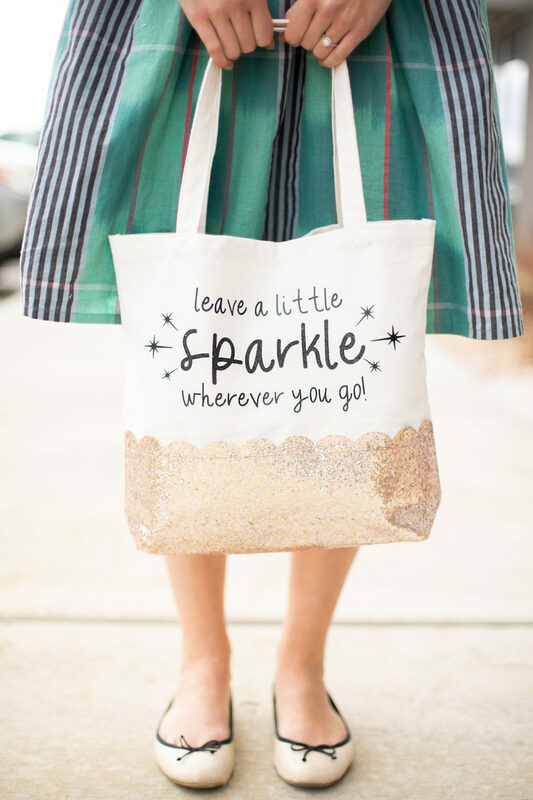 We hope you have a blast customizing your own tote bag.